Butterflies must rate as one of the most beautiful home school science projects. 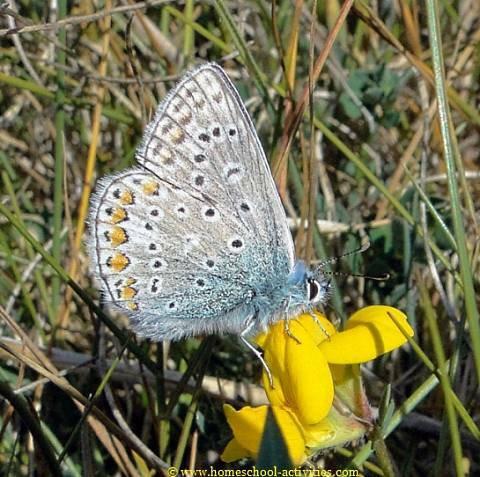 I want to inspire you to find out more about them with some fascinating facts, a great butterfly craft idea, activities for high school and a free printable butterfly life cycle sheet. The stages in the life cycle of a butterfly are so amazing they are an ideal way to start off a joy in nature which can last a lifetime. The adult butterfly lays 10-100 eggs on the underside of leaves. The egg is a tiny object, little larger than a pinhead. As you can see from this photo, the eggshells of most butterflies have intricate patterns when seen close up, with radiating ribs, spines and protrusions and a small depression (the ‘micropyle’) through which air penetrates to the embryo. The egg hatches into a caterpillar or larva. Most caterpillars have 12 eyes. They are a very simple structure and can only sense light and dark. 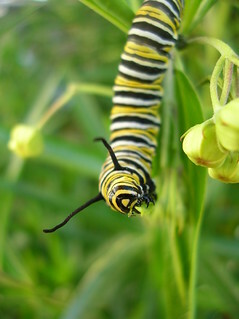 Many caterpillars eat 27,000 times their own body weight before they turn into a chrysalis. Once a caterpillar hatches from the egg it will increase its size 30,000 times before it is ready for the next stage in the life cycle of a butterfly: the chrysalis. 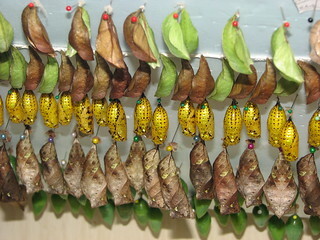 The larva changes into a chrysalis or pupa. In the chrysalis stage of the life cycle of a butterfly, the caterpillar’s body is turned to a liquid and the adult’s body starts to form. Nearly all chrysalises stay hidden from predators by being camouflaged. Disguises range from dead, dew-spangled leaves to bird-droppings. 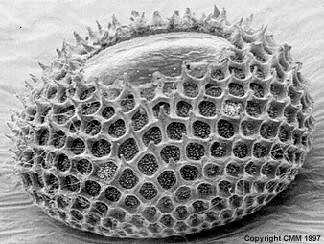 Some chrysalises make small sounds to frighten predators away. When the adult’s body is fully formed inside the chrysalis, the adult or imago stage in the life cycle is reached and the butterfly emerges. Butterfly wings are hollow. Once the butterfly come out of the chrysalis they will hang upside down while the wings fill with fluid. As you can see, most species are beautifully colored. The colors you see are not caused by pigmentation but by the light bending through the scales, rather like when light bends through a water droplet. Adults spend their time in courtship, mating and egg-laying. Monarch butterflies have been spotted as high as 1,000 feet in the air. Some species migrate across continents, with the Monarch covering as much as 2,000 miles. The largest butterfly is the Queen Alexandra’s Birdwing, with a wingspan up to 1 foot (30cm) wide. 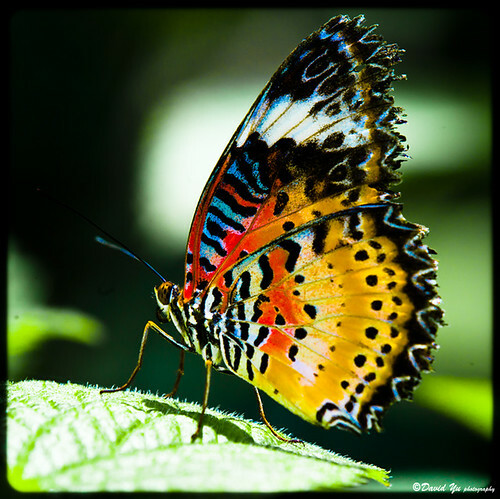 It lives in the rainforest of New Guinea and you could use it to tempt your kids to join our rainforest for kids homeschool science project, where we’ve used our butterfly craft skills to make beautiful butterflies with holographic wings. Butterflies pollinate more plants than any other insect except bees. The numbers of many species have declined alarmingly in recent years. Check back tomorrow for Part 2 of Beautiful Butterflies for some awesome butterfly activities!